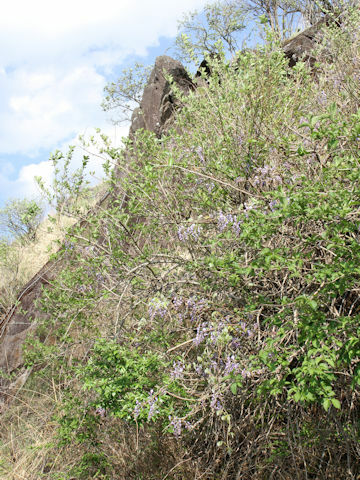 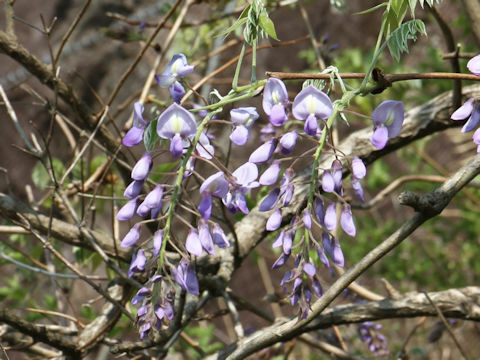 Japanese wisteria (Wisteria brachbotrys) belongs to the Fabaceae (the Pea family). 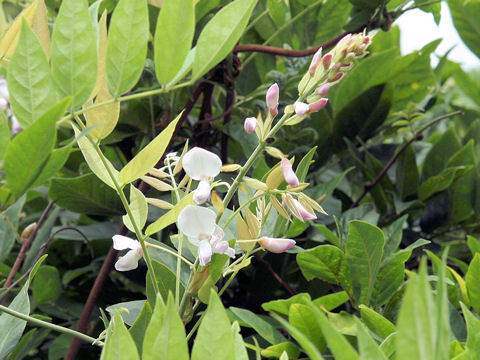 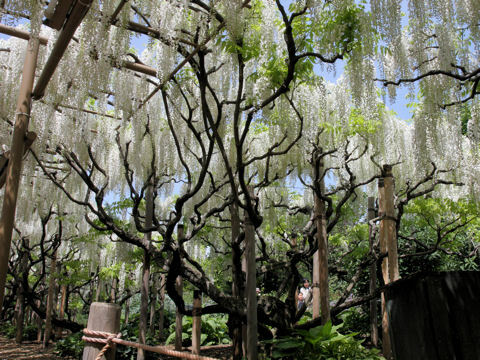 It is a deciduous woody vine that is native westward from Chubu district of Honshu to Shikoku and Kyushu of Japan. 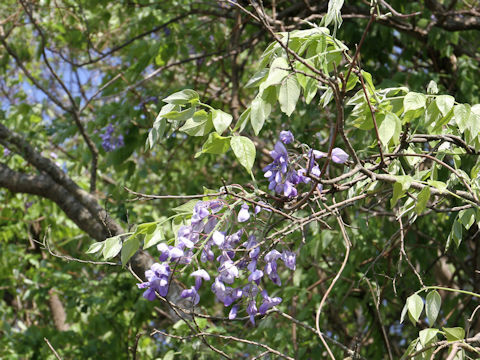 This vine climbs up adjacent trees. 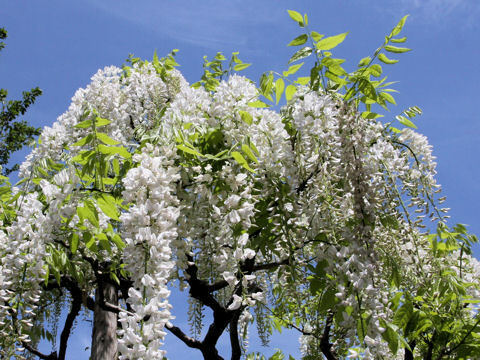 It is left hand wind, though the Japanese wisteria (Wisteria floribunda) is right hand wind. 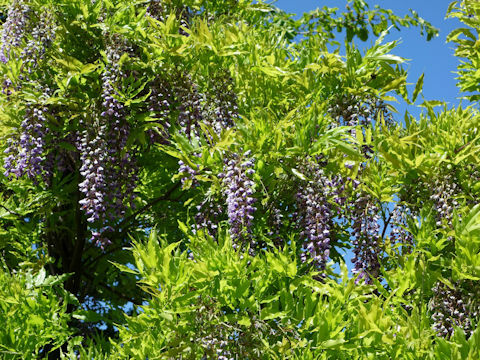 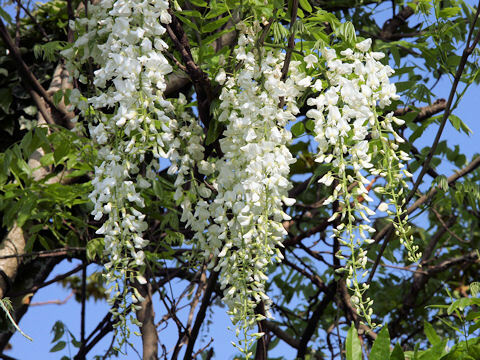 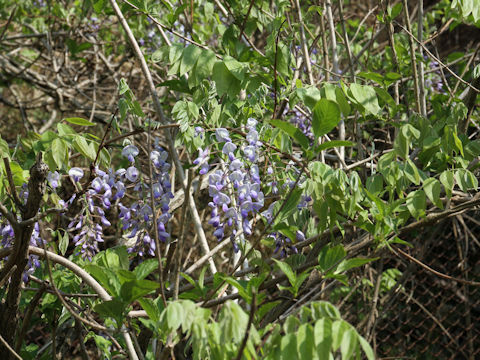 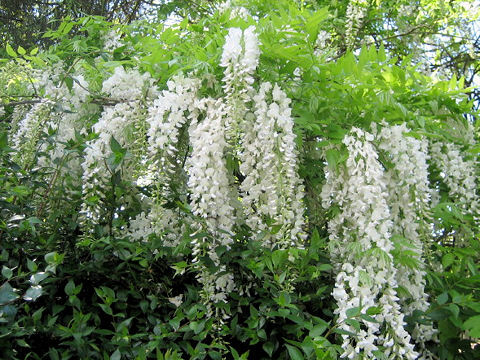 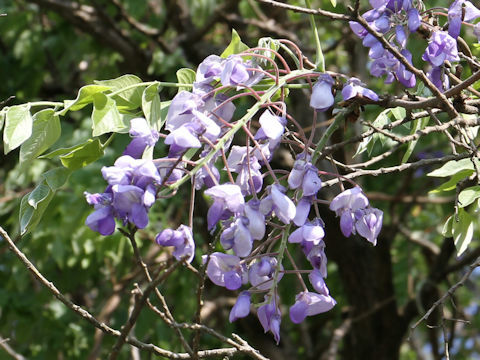 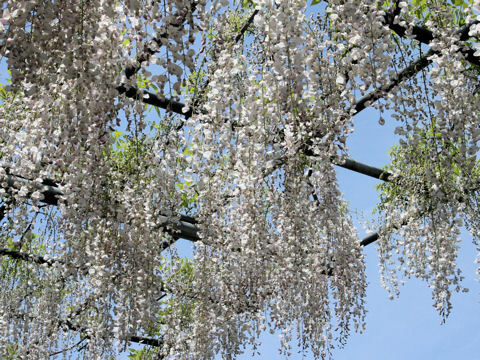 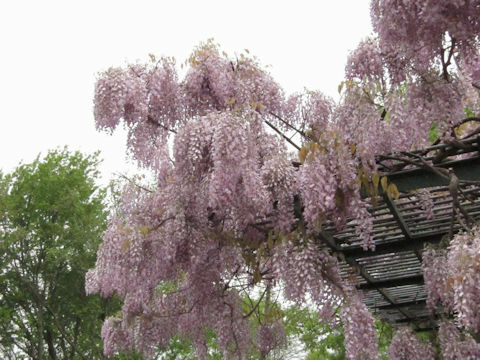 The racemes about 20 cm long are borne and drooping at the terminal branches, and bloom fragrant wisteria violet flowers from April to May. 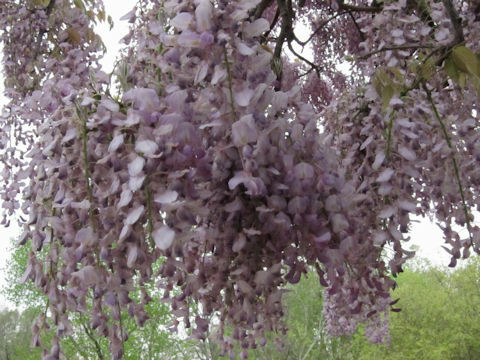 It is defined by busting out all over clusters.